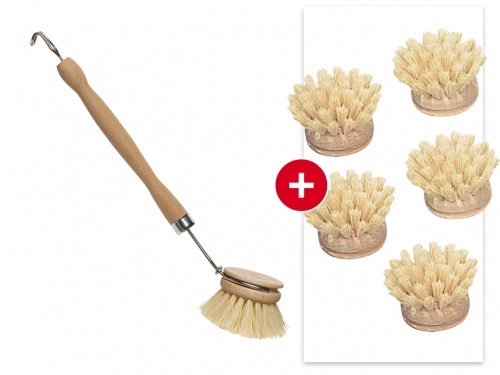 Memo Dishwashing Brush from FSC Wood with 5 Replaceable Heads - Zero Plastic! Our Summary: we love these beeswax wraps for all sorts of household uses - from covering stuff in the fridge to opening jars, they keep food perfectly fresh without having to resort to cling film or tin foil and can be composted at their end of life (about 12 months - or you could get creative with help of You Tube and try to patch them up yourself with new beeswax). A must for a zero waste lifestyle! Honeywrap is a beeswax wrap which is used instead of plastic wrap. Each wrap is made from GOTS certified organic cotton blended with a mix of beeswax, tree resin and jojoba oil in New Zealand. Food lasts longer and tastes better when it’s stored in a Honeywrap because the beeswax coating on each quality piece of fabric allows the food to breathe, whilst staying covered & sealed. The beeswax blend combines to create a tacky cloth which can be shaped around food and dishes to seal in goodness. By firmly pressing the Honeywrap around your food or bowl the warmth of your hands activates the mixture and the cloth will stick to itself, forming a tight seal and keeping your food nice and fresh! A great kitchen starter pack or this would also make a beautiful gift. Pack Includes: 1 x Small 17 x 20 cm , 1 x Medium 31 cm x 27 cm, 1 x Large 45 cm x 40 cm – colours and patterns are assorted. Why would you wrap your food in something that’s been made with pesticides? Honeywrap insist on organic cotton for all their fabrics because cotton is one of the most pesticide loaded crops in the world. Production of cotton into clothes uses toxic chemicals at each stage. The chemicals from cotton crops and factories then contaminates water supplies. This results in huge health problems and harming wildlife. Organic cotton is made without pesticides therefore it is better for the environment, the farmers and eventually our own health as our skin is not exposed to the harmful chemicals used in the manufacturing process of traditional cotton. Beeswax is a by-product of honey production. Honey bees secrete beeswax to make the walls of their honeycomb. When the honey is collected the beeswax cappings are removed and then melted in blocks. Bees must collectively fly about six times around the earth, to make the equivalent of a block of butter in beeswax. Beeswax is water repellent, naturally anti-bacterial and has an indefinite shelf life. It is an antiseptic used for wound healing and is used in many cosmetics. Beeswax is a magical substance as are the bees that make it. Tree resin and jojoba oil are also amazing. They both also have anti-bacterial properties. Tree resin is water resistant and is also used in wound healing and increasingly in many cosmetics. Jojoba oil is the liquid produced from the Jojoba plant. It is used in many cosmetics, moisturisers, shampoo and conditioners. Jojoba oil replaced whale oil in these products. Jojoba oil also has anti-fungal properties. This combination of these natural ingredients keeps your food fresh and your conscience free. Use the warmth of your hands to shape your Honeywrap over food and dishes. The Honeywrap sticks to itself when you press firmly over the bowl/ plate. When stored in the fridge the beeswax will harden further, retaining the shape and sealing in the goodness. Brush off crumbs like a bread board. When your Honeywrap needs a clean always use cold water and an eco-detergent. 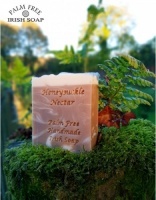 Cold water provides a hard surface to wipe off and reduces the risk of your beeswax melting. 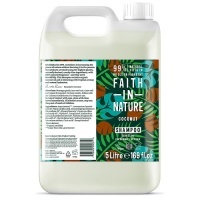 Eco-detergent has less alcohol content and is less likely to break the beeswax down over time (plus eco-detergents are way is better for the environment not sending more chemicals down the drain). Either immerse your Honeywrap in cold water and dish soap or sponge off with a dishcloth. Air dry on a dish rack or use a tea towel to pat dry off. Storing in our tea-towel drawer works for us. Some oils and sauces may stain your Honeywrap, but your food stays fresh. Don’t forget that Honeywraps’ don’t like the heat so avoid dishwashers, microwaves, and ovens. Do not use to cover raw meat. Your Honeywrap can be used again and again following these simple steps. They come in a variety of sizes and last for up to 12 months. Easy to use and multiple sizes are handy. A little expensive but as they should last about a year it’s still a saving in the long run.